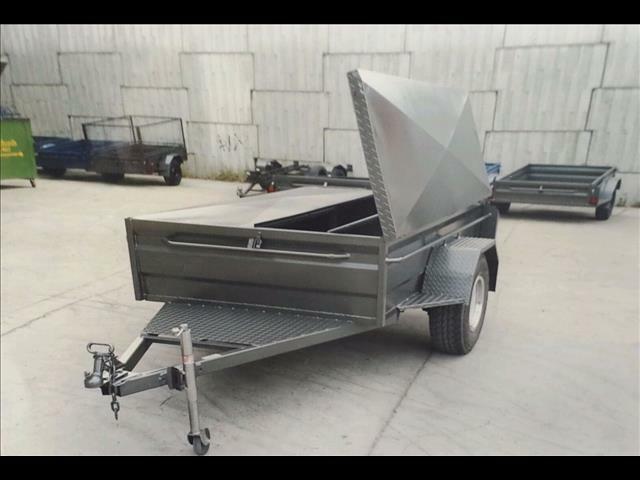 Builders Trailer Brand New - 6x4, 7x4, 7x5, 8x4, 8x5, 9x5, 9x6, or Larger. Every Trailer is Manufactured On Site. (Pictures are for illustration purpose only). Standard Trailer Sizes -Length: 6&apos;, 7&apos;, 8&apos;, 9&apos;, 10&apos; or Larger. Width: 3&apos;, 4&apos;,5&apos;, 6&apos;. Standard Enclosed Sizes: 2&apos;, 3&apos;, 4&apos;, 5&apos; or built to your specification. 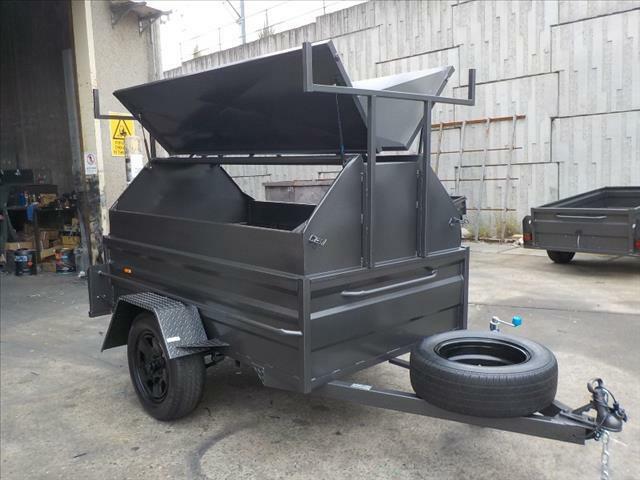 With 40 year&apos;s industry experience, we make trailers with the highest quality standards and workmanship. Call today on 02 9897-7951 for an INSTANT quote. We have wide range of Parts and Accessories, call us now for a no obligation free quote. Great Western Trailers can make any trailer to suit your needs from basic box trailers to big plant trailers. We specialise in custom and durable design for industrial trade use. 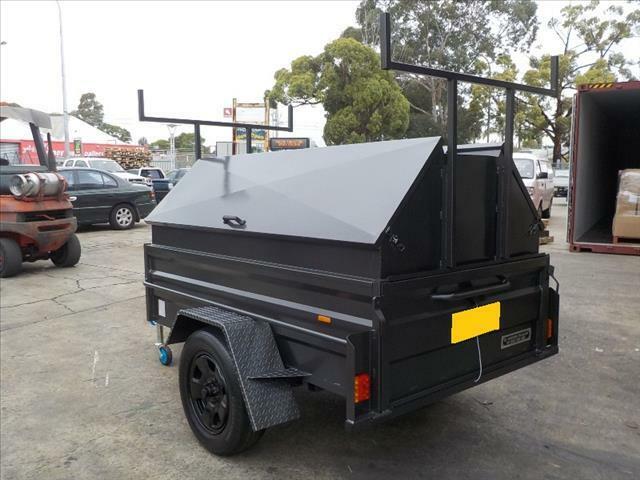 We Build: Advertising Sign Trailers, Box Trailers, Bob Cat Trailers, Bike Trailers, Builders Trailers, Car Trailers, Farm Trailers, Go Cart Trailers, Golf BuggyTrailers, Enclosed Trailers, Hydraulic Trailers, Lawn Mower Trailers, Luggage Trailers, Machinery Trailers, Plant Trailers, Tilting Trailers, Tipper Trailers, Tradesman Trailers, Winch Trailers or any other custom trailer you may need. 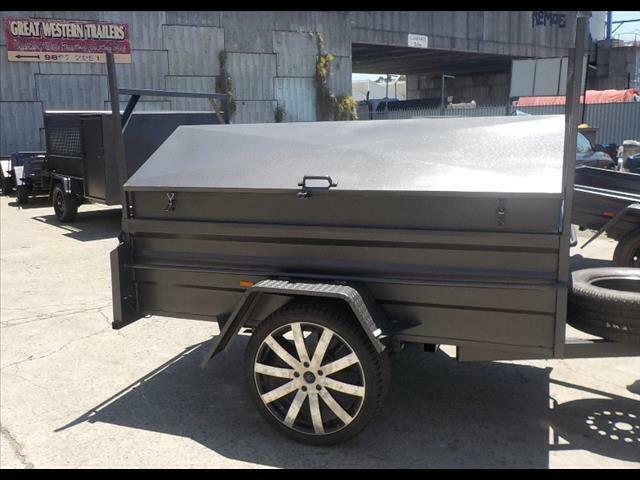 With 40 year&apos;s industry experience, we make trailers with the highest quality standards and workmanship. We have a 12 month warranty on all parts and workmanship and can provide registration on the spot if required. 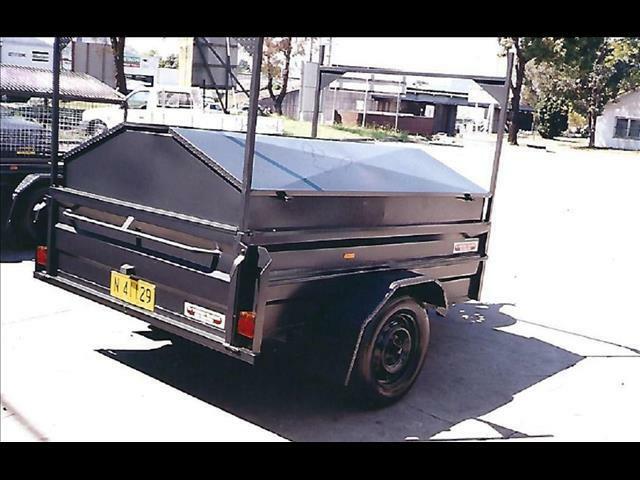 We can also repair, refurbish and customise your existing trailer. It does not include Bearings and Tyres. 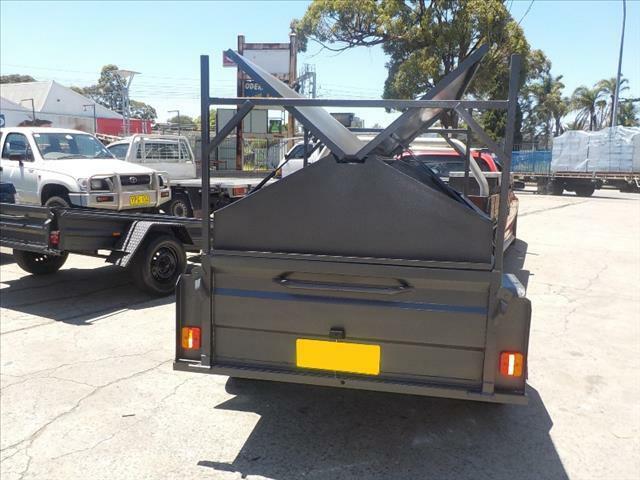 Find Great Western Trailers at Unit 3, 262 Parramatta Rd, Granville, NSW. 2142.